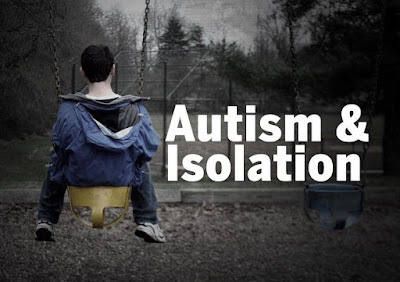 The dramatic increase in the prevalence of autism spectrum disorder (ASD) among children indicates that a correspondingly large number of youth will be transitioning into adulthood in the coming years. Investigating social participation of young adults with ASD is important given that social participation is an indicator of life quality and overall adaptive functioning. A study using data from the National Longitudinal Transition Study 2 examined rates of participation in social activities among young adults who received special education services for ASD, compared to young adults who received special education for intellectual disability, emotional/behavioral disability, or a learning disability. This study indicates that there are growing numbers of adolescents and young adults with ASD in need of substantial support. In fact, the lack of services available to help young adults with ASD transition to greater independence has been noted by researchers for a number of years and has become an increasingly important issue as the prevalence of ASD continues to grow and as children identified with ASD reach adolescence and adulthood. The focus of intervention/treatment must shift from remediating the core deficits in childhood to promoting adaptive behaviors that can facilitate and enhance ultimate functional independence and quality of life in adulthood. This includes new developmental challenges such as independent living, vocational engagement, postsecondary education, and family support. The DSM-5 criteria for autism spectrum disorder (ASD) include restricted and repetitive patterns of behavior (RRB) as a core diagnostic feature, together with the domain of social communication and social interaction deficits. 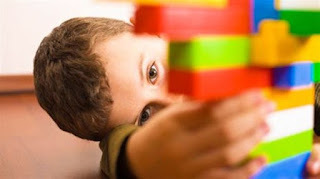 Recent evidence suggests that restricted and repetitive behaviors may differentiate children who develop autism spectrum disorder (ASD) by late infancy. A study published in the Journal of Child Psychiatry and Psychology found that children who show several repetitive behaviors at their first birthday have nearly four times the risk of autism of children who don’t show repetitive behaviors. These findings suggest that as early as 12 months of age, a broad range of repetitive behaviors are highly elevated in children who go on to develop ASD. While some degree of repetitive behavior is essential to typical early development, the extent of these behaviors among children who develop ASD appears highly atypical. The study supports earlier findings that repetitive behaviors may be among the earliest-emerging signs of autism. It also points to new avenues of inquiry. While the search for early social deficits has received substantial attention from researchers, ritualistic, repetitive behaviors have largely been neglected. This is unfortunate because repetitive behaviors are often easier for a parent to notice than the absence of a social behavior. 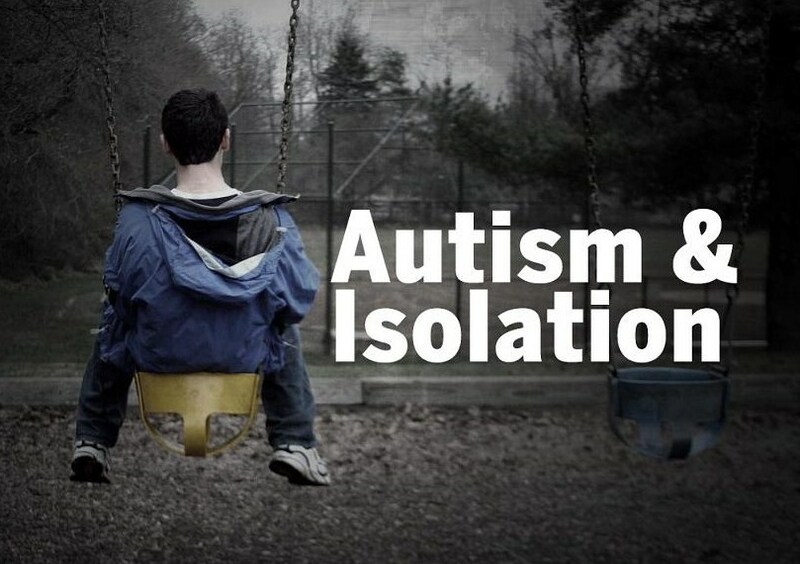 Parents of individuals with ASD also report that restricted and repetitive behaviors are one of the most challenging features of ASD due to their significant interference with daily life. Likewise, they can impede learning and socialization by decreasing the likelihood of positive interactions with peers and adults. 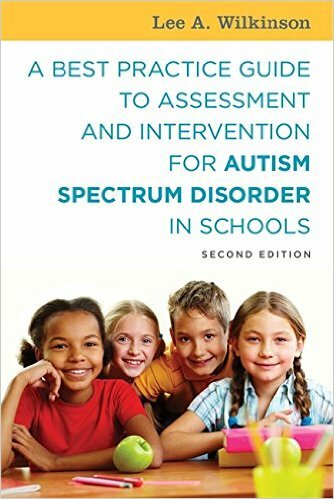 Given the importance of restricted and repetitive (RRB) behavior, clinicians and practitioners should give increased attention to the assessment and presence of this behavior in screening and assessment as an early indicator and consider their impact on the psychological well-being of individuals with ASD. Restricted and Repetitive behavior (RRB) should be included as a core domain in a comprehensive developmental assessment. Although broad-based measures such as the Autism Spectrum Rating Scales (ASRS; Goldstein & Naglieri, 2010) and the Social Responsiveness Scale (SRS-2; Constantino & Gruber, 2012) incorporate scales and treatment clusters assessing stereotypical behaviors, sensory sensitivity, and highly restricted interests, there are parent/caregiver questionnaires that focus solely on restricted and repetitive behaviors and provide a more complete understanding of the impact of RRB on adaptive functioning. The most commonly used are the Repetitive Behavior Scale-Revised (RBS-R; Bodfish, Symons, Parker, & Lewis, 2000) and the Repetitive Behavior Questionnaire-2 (RBQ-2; Leekam et al., 2007). Both cover a wide range of repetitive behaviors and were designed as a quantitative index of RRB. 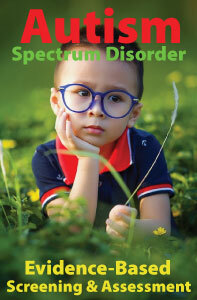 Individuals who have marked deficits in social communication, but whose symptoms do not meet the RRB criteria for ASD, may be evaluated for social (pragmatic) communication disorder (SCD). Autism (NPDC) and the National Autism Center (NAC) have identified social skills training/instruction as an evidence-based intervention and practice. Commonly used approaches include individual and group social skills training, providing experiences with typically developing peers, and peer-mediated social skills interventions, all targeting the core social and communication domains. Child-specific social skills interventions frequently include (a) general instruction to increase knowledge and develop social problem solving skills, (b) differential reinforcement to improve social responding,(c) structured social skills training programs, (d) adult-mediated prompting, modeling, and reinforcement, and (e) various behavior management techniques such as self-monitoring. A study appearing in the Journal of Autism and Developmental Disorders adds to research database suggesting that social interactive training is an effective and promising technique for promoting communication and social skills in youth with autism. The study examined the efficacy and durability of the UCLA PEERS Program, a parent-assisted 14-week social skills group intervention for more capable adolescents on the autism spectrum. In a series of 90-minute weekly sessions the students were taught to interact in real-world social situations through role playing and homework assignments. The teens’ parents also attended sessions to learn how to appropriately coach their kids at home. Results indicated that teens receiving PEERS significantly improved their social skills knowledge, social responsiveness, and overall social skills in the areas of social communication, social cognition, social awareness, social motivation, assertion, cooperation, and responsibility, while decreasing autistic mannerisms and increasing the frequency of peer interactions. Independent teacher ratings revealed significant improvement in social skills and assertion from pre-test to follow-up assessment. Examination of the strength of improvement indicated maintenance of gains in nearly all domains with additional treatment gains at a 14-week follow-up assessment.